We finally have some real information about Kingdom Hearts III, so let’s take this opportunity to show Square Enix, Disney, and everyone else what we really want to see in the third entry of this transmedia franchise. Kingdom Hearts is about jumping into weird worlds with some Final Fantasy-ish characters and just going hog wild hanging out with Tarzan, Jack Sparrow, and an odd assortment of Disney licensed properties. The newest info we have about the game tells us that there’s a world based on Hercules and another centered on Toy Story coming in the threequel, cementing that the game is committed to this smallist world of official Disney stuff. Speculation abounds, however, that we could get even weirder worlds. Disney owns both the Star Wars and Marvel universes now, so who is to say that those won’t show up in some form in our wild, Gummi Ship ride through Kingdom Hearts III’s plot? I want to do one better, though. 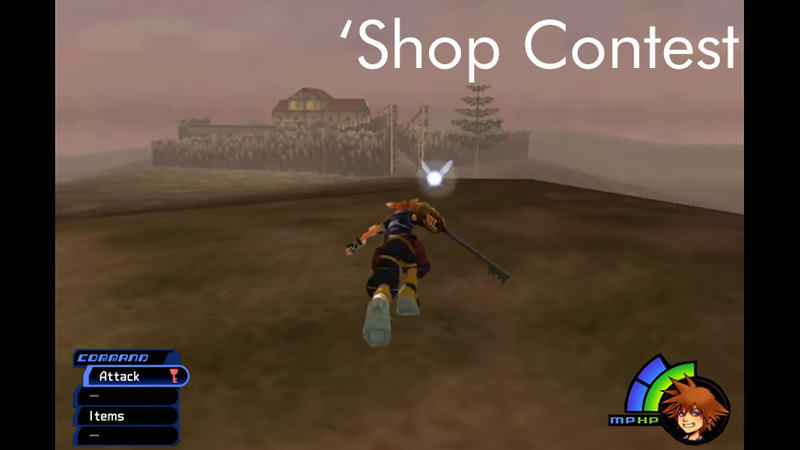 For this week’s ‘Shop Contest, I want to see all of the worlds that Sora and company could go to. Hyrule? Check. The ruined Tokyo of Tokyo Jungle? Yes. The tunnels beneath Derry, Maine? I hope not, but ok. This week, I want you to take the Kingdom Hearts games where they’ve never gone before.